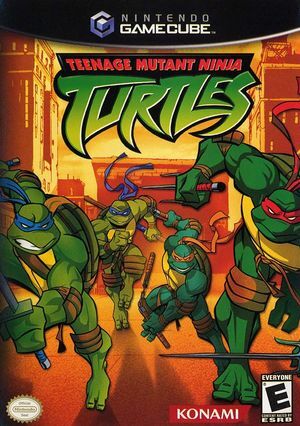 Teenage Mutant Ninja Turtles is a beat 'em up video game released in 2003 by Konami. The game is based on the 2003 TV series. The main gameplay loosely adapts the following season one episodes: Things Change, A Better Mouse Trap, Attack of the Mousers, Meet Casey Jones, Nano, Darkness on the Edge of Town, The Way of Invisibility, Notes From the Underground (Parts 1-3), and Return to New York (Parts 1-3), as well as a level that is not derived from the animated series at all. The graph below charts the compatibility with Teenage Mutant Ninja Turtles since Dolphin's 2.0 release, listing revisions only where a compatibility change occurred. This page was last edited on 16 January 2018, at 04:29.